You know what's really annoying? The fact that you can't preview a Shader (the item that changes your Guardian's outfit color scheme) in Destiny. Those things are expensive! Can't just be buying them all willy nilly. 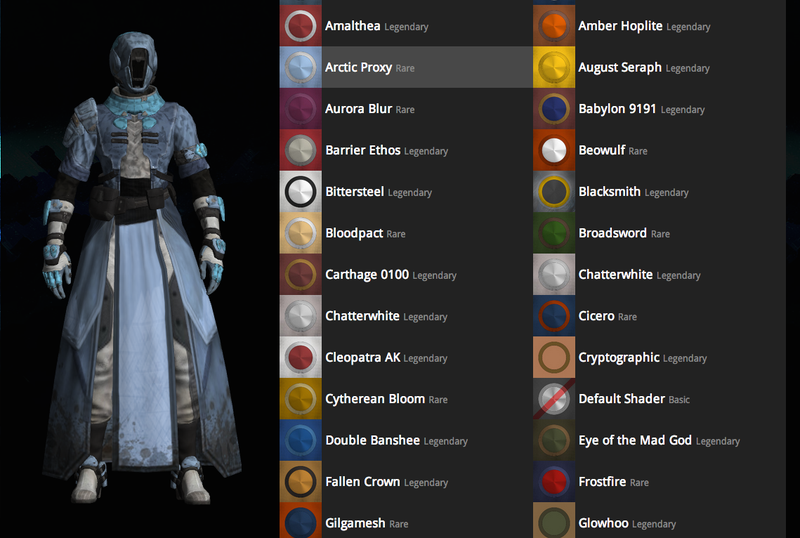 Fortunately we have Destiny Tracker, a website that lets you preview your own character in every known Shader. That's my Warlock above there, sporting a sky-blue Arctic Proxy. Now you don't have to shop blind! What a world we live in, the Internet, where everything is possible.